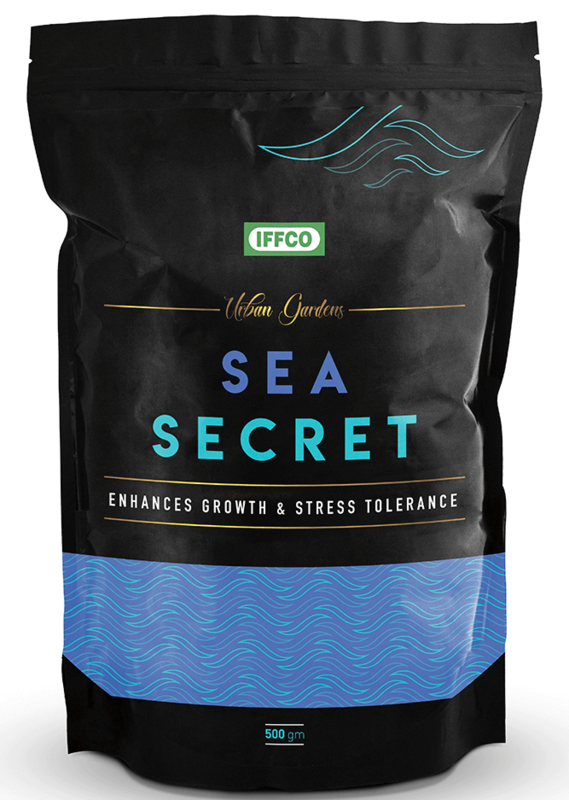 is an organic soil conditioner that contains granules fortified with seaweed extract derived from red & brown seaweed, which is cultivated by the farming communities residing on the coastal regions of India. Seaweed extract containing proteins, carbohydrates, inorganic salts and other inherent nutrients and acts as a natural bio-stimulant. It also contains vitamins, plant growth hormones like auxins, cytokinins, and gibberellins, glycine-betaine, choline etc. Stimulates growth and development of plants. Enhances nutrient uptake capacity of the plant from the soil. Promotes root growth, tillering and nutrient uptake. Activates soil microbial population and improves soil health. Promotes root growth, tillering, flowering, fruiting and seed development for kitchen garden. Put 25-30 grams of granules on the top layer of soil per pot. Keep watering the plant at recommended intervals. Visit: My Urban Greens Store, 34 IFFCO House, Nehru Place 110019.